These mushrooms are a result of having leftover cooked shrimp (and not cocktail sauce – cause nothing makes me feel fancy like having a shrimp cocktail before my dinners at home, ha!). 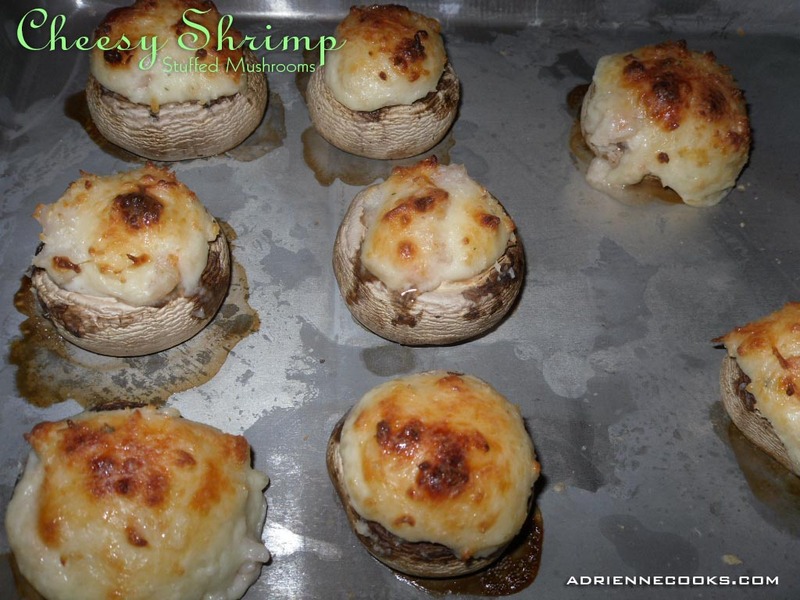 Plus I had some cheese and mushrooms – boom! 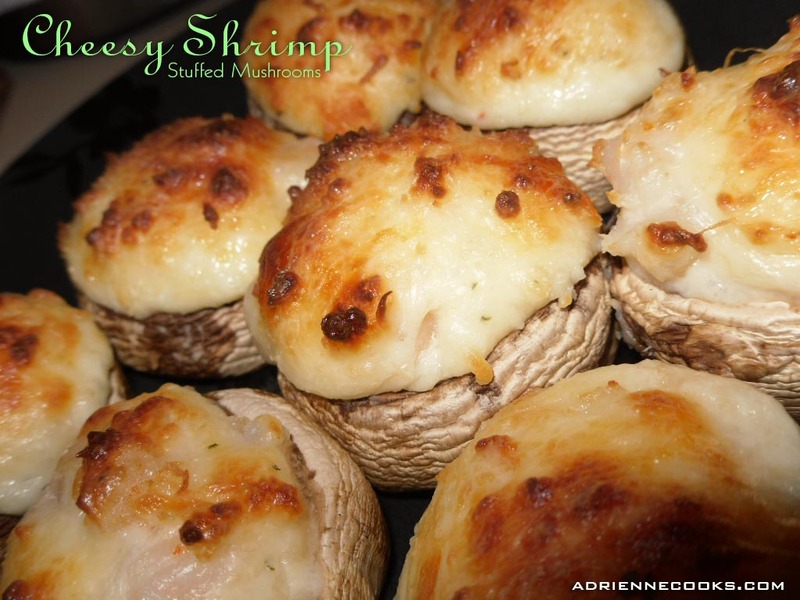 Shrimp stuffed mushrooms. 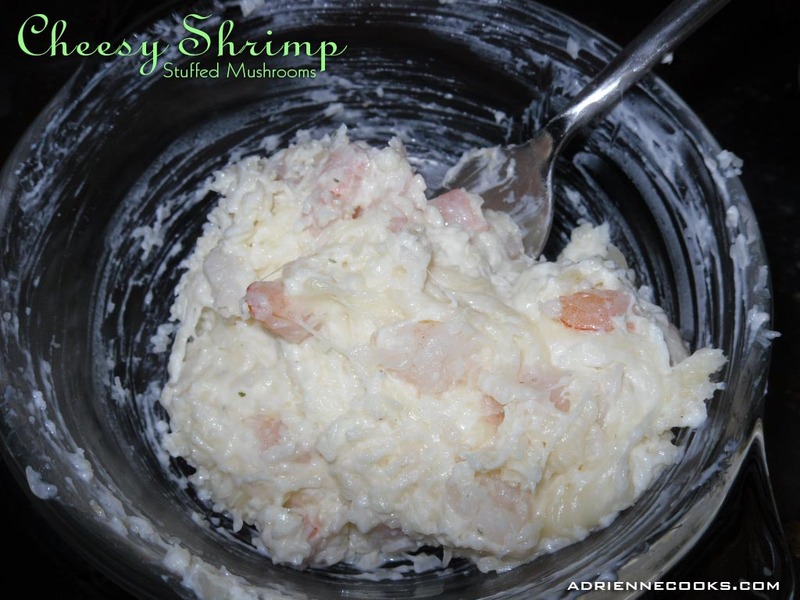 Appetizers are great for a group or an easy fix for a low carb gluten free meal (I didn’t share these!). Clean and de-stem your mushrooms. Mix everything else together. Stuff in mushrooms, amount depends on the size or your mushroom caps. 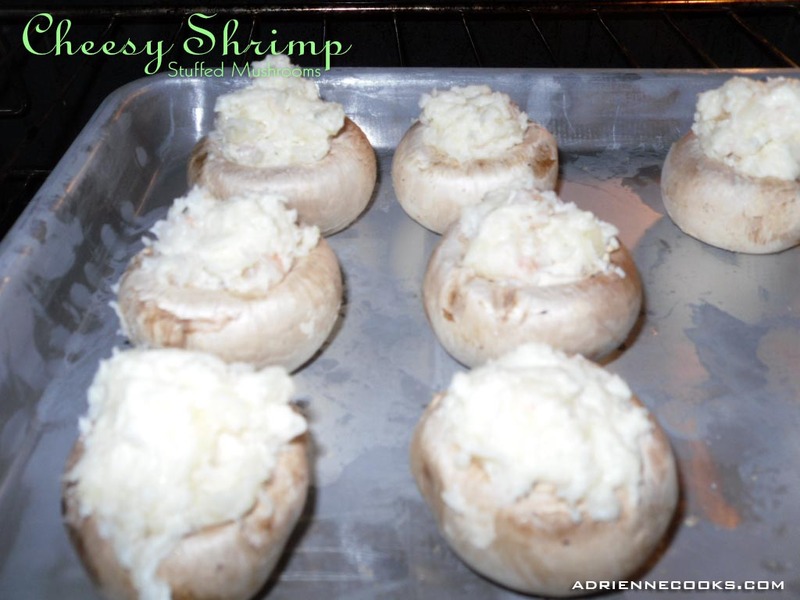 Bake at 350 for 10 – 15 minutes (your shrimp are already cooked), until the mushrooms have released a little liquid and your filling is beginning to brown on top. I’d love to say I thunk these up for some grand dinner party with dear friends… but nope! I honestly just had this stuff in my fridge and was looking for low carb awesomeness and made these. They are exceptionally good for spur of the moment noms! Oh my goodness, what a great appetizer! Love all of these flavors!